Mumbai: Commuters were in for a surprise when they had a celebrity travelling with them in Mumbai Metro. Film producer and father of Jahanvi Kapoor, Boney Kapoor took to metro over other public transport. This seemed a bit surprising move given the fact that the producer and husband of late Sridevi avoid travelling in public transport. He is usually seen travelling in his car and likes to keep himself away from media glare. 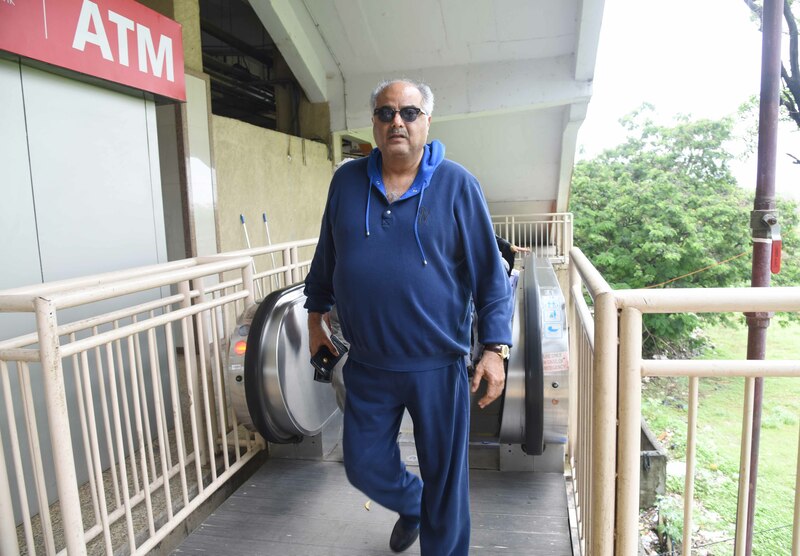 Looks like Boney Kapoor decided to take the Mumbai Metro to avoid traffic congestion owing to heavy downpour. Kapoor seemed unfazed by the attention as he got down from his luxury car and took to the elevators to board the metro. While the commuters kept on looking in disbelief, Kapoor walked past the crowd and got himself a ticket to metro. This morning there was heavy traffic and so Boney decided to take Metro and reach the destination faster. He was spotted wearing a blue hodie paired with jogging pants. The shutterbugs caught his entry and were busy capturing this entry to the Mumbai Metro station. Boney was busy talking on the phone and did not show discomfort on being clicked. In fact, he even looked straight towards the photographer. It is rarely seen a celebrity taking metro to travel within Mumbai. With Boney Kapoor taking metro, he has set an example of sorts for others to follow. He decided to chuck his car and hop on to a metro to avoid traffic. We hope other celebrity decide to chuck their car and hitch a ride in a metro. With them taking metro, many commuters will take to metro over private commuting. Kudos to Boney Kapoor for making a smart move by travelling in metro! He definitely made the ride of other commuters a pleasant one. Let’s see which celebrity decides to take Mumbai metro.